In the 2017-18 budget, out of the Capital Development Authority (CDA)’s PKR 37.9 billion budget, PKR 11.10 billion were reserved for Priority Development Projects. Names of priority projects were specifically identified in the budget document. These projects are construction of Islamabad Expressway’s Sohan and Khana Interchange, construction of Bhara Kahu Bypass and development of Sectors E-12, C-15 and I-15. Among these projects, E-12 holds special status. Despite launching Sector E-12 around 28 years ago, the CDA has only managed to acquire 25% of land for the project. It is widely believed that the civic authority has been struggling to find funds for development work in several of its projects. We heard the same from the officials too; In fact, CDA is often seen auctioning off property to arrange for funds. With PKR 11 billion reserved especially for the development of CDA’s pending projects, the issues that haunt Sector E-12 should now be dealt with effectively. What got E-12 in the limelight? About two years ago, just when CDA was preparing to launch Sector C-15, allottees of E-12 took the matter to the apex court. Their petition was to make CDA bound to complete development in the existing sectors before launching new ones. The Supreme Court gave verdict in favour of the allottees and ordered CDA to fix issues that hinder it from initiating development work on these sectors. Now finally after two years, the government has come to the aid of CDA by reserving PKR 11 billion specifically for its pending projects. What’s the latest from E-12? At the moment, the CDA has acquired land for E-12/2, while land meant for E-12/1, E-12/3 and E-12/4 is still to be acquired. As we speak, around 400 families live in E-12 and, reportedly, many of them still haven’t sold their land to the authority. Nonetheless, a decent percentage of property owners have been paid off by the CDA while the issue of determining the cost of the built-up property still exists. According to my sources, the CDA is yet to sort out the details with owners of 1,000 property units. 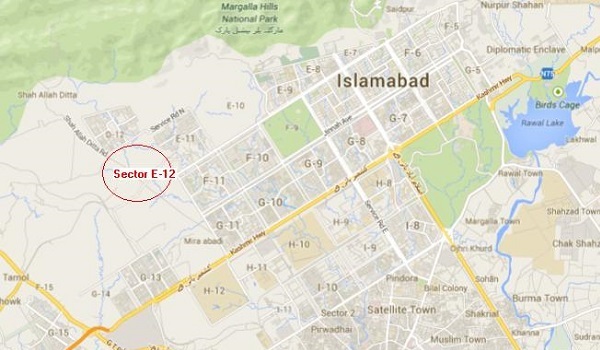 Some E-12 property owners have been issued alternate plots in Sector I-12. In addition, the CDA has also reserved land in E-12 to adjust these property owners. For the built-up units, the authority is known to offer fair compensation; it has never quoted less than market rates. With the funds made available by the government, the CDA should be in a good position to pay off property owners and acquire E-12’s land. Unlike other CDA sectors, property rates in E-12 are pretty low. If you put a value to it, they are around half of the asking price in other developed CDA sectors. Although recently, a price appreciation of 10% was noticed in market rate of E-12 plots, there is still some time before property rates will see a decent and consistent rise. Some people believe that since CDA is now committed to fix issues of Sector E-12, property rates here will increase in the future. While some others believe that, it will take more time before development work can be initiated. The one problem at hand is that the funds made available through the budget may not be enough to help the CDA with all five of its projects. In other words, it might take a few more years before E-12 sees any real development. Nonetheless, the CDA can now at least get complete possession of land for E-12 with the available funds. To initiate development work, it can ask for help from the E-12’s property owners in the form of additional development charges. Some may go for this option if paying additional development charges comes with a convenient payment plan. Do you have any suggestion for the CDA when it comes to E-12’s issues? Sound off in the comment section below.